Today, e-commerce companies face much steeper consumer expectations than they did even a few short years ago. Consumers expect their products fast, and that’s making it hard for some companies to compete with industry giants like Amazon. For these companies, better inventory control is the best tactic for cutting shipping times without driving up costs. Free same-day shipping is quickly becoming the benchmark for e-commerce companies, and for good reason — research indicates that offering free same-day delivery increases conversion rates. CB Insights writes that same-day delivery gives customers near-instant gratification with little space for cold feet. They also found that dropping shipping rates from $8 to $0 resulted in conversion rates increasing from 16.7% to nearly 45%. Optimized inventory control processes are essential when offering next-day or same-day services. Extra minutes or seconds spent in the warehouse or on the truck can quickly snowball out of control and result in costly fulfillment backlogs. Implementing better inventory control practices can help streamline processes and create a valuable cushion for when things hit a snag. Preventing backups in loading and unloading processes requires good instincts, careful scheduling, and the right tools. Curt Barry describes inbound and outbound freight control in Multi-Channel Merchant as the “number-one ongoing focus to prevent profit erosion” for fulfillment companies. Preventing product and trucking snags, managing carriers, and tracking product as it enters or exits warehouse stock — all these procedures present unique challenges for warehousers. To overcome these challenges, many companies will contract 3PL consultants to help manage and optimize inbound/outbound strategy. Sometimes, it’s valuable to go back to basics and review your procedures for inefficiencies before you hire an outside consultant. Does your company use a continuous or periodic reordering strategy? How many individual carriers do you work with? Can you get a better rate by compiling services under one carrier? Where does stock enter your inventory and what processes are used to track it? Can these processes be improved? Taking a good look at your inbound/outbound operations can help reduce the amount of time your product spends being processed. Technology is doing wonderful things for the logistics and fulfillment industry. 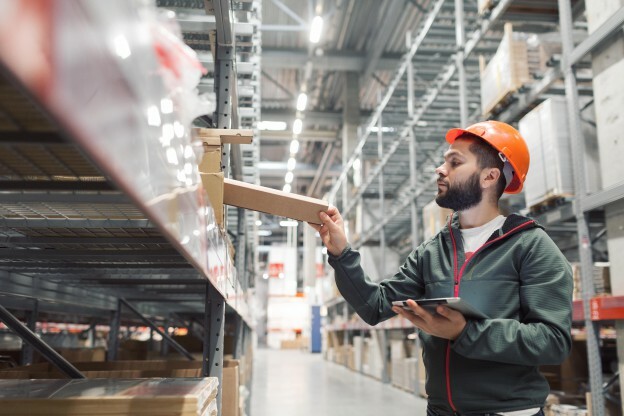 From smarter hardware to cleaner product tracking to better workforce management, startups and tech companies are building the tools warehousers need to do their jobs better. Your warehouse management system (WMS) is the baton with which you conduct your operations. WMS systems are incredibly complex and require maintenance from time to time to operate at maximum efficiency. When your WMS isn’t up to speed with the current technological landscape, you could be losing valuable seconds that slow your operations down. If you’re currently using multiple software suites to run your fulfillment operation, you may achieve greater efficiency by integrating a warehouse execution service (WES) into your existing WMS and warehouse operating system (WOS). In addition, be sure to keep an eye out for updates to your management software, especially any that improve functionality for IoT devices. Mobile tracking is driving a lot of improvements in logistics, and the high-quality data IoT devices provide is central to proper analytics and monitoring. IoT devices are valuable in large part because of their cloud connectivity. These devices connect to central databases in order to keep product moving through inventory, allow for easy connection between sales and fulfillment, and provide up-to-date information like near-instant pick and pack lists which vastly improve turnaround times. Cloud integration centralizes data and operations from all parts of the supply chain in one place. Leveraging this central database, cloud-based analytics software takes the guesswork out of the equation for buyer trends, reordering, shipping trends, and a whole lot more. These tools can also be used to organize warehouses more efficiently to prioritize product based on demand. All the technological bells and whistles in the world won’t matter if your warehouse isn’t properly optimized. Product placement and workforce protocols can influence inventory control in ways that aren’t always obvious. In general, the fewer touches a package receives as it goes through an order flow, the better. Ask yourself: how can my warehouse be better set up to allow for easy, streamlined access to my most popular products? If you’re using the right WMS, big data can give you some fantastic ideas about where to start. Last-mile shipping is typically the most cost-intensive link in the supply chain. Up to 28% of the total cost of shipping goes into last-mile shipping. More than any other part of your supply chain, last-mile delivery is susceptible to time overruns due to simple on-the-ground complications like unexpected traffic congestion. Here’s one inventory control solution a lot of companies overlook: find a better last-mile provider. A lot of startups are using big data to gain a time advantage over the competition. These companies analyze historical data to anticipate weather or traffic events and set better routes. The last-mile industry is changing rapidly thanks to increasing e-commerce demand — a trend that benefits smart logistics teams ready to try something new. Small warehouses are gaining popularity thanks to the speed of today’s e-commerce marketplace. Storing large amounts of stock is costly and slows fulfillment by increasing the amount of product you need to maneuver around in order to get your package out the door. Small warehouses with limited stock create more efficient fulfillment operations, but they can also lead to costly shortages when demand outpaces expectations. To resolve these issues, many companies will contract additional warehousing capacity at port from a drayage firm. Port warehousing allows companies to maintain larger stock than their current warehousing capacity at affordable rates, without making major changes to fulfillment infrastructure. Port warehousing is especially popular during times of increased demand like the holidays. Learn more about your 3PL inventory control options. Contact us!